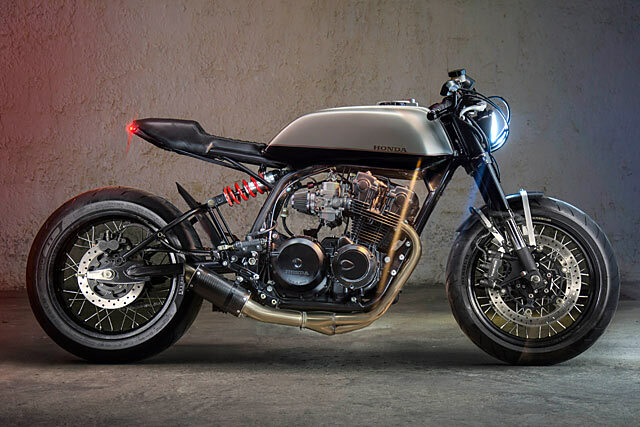 The lumbering, all-consuming beast that is cafe racer culture has stretched its tentacles all over the world. 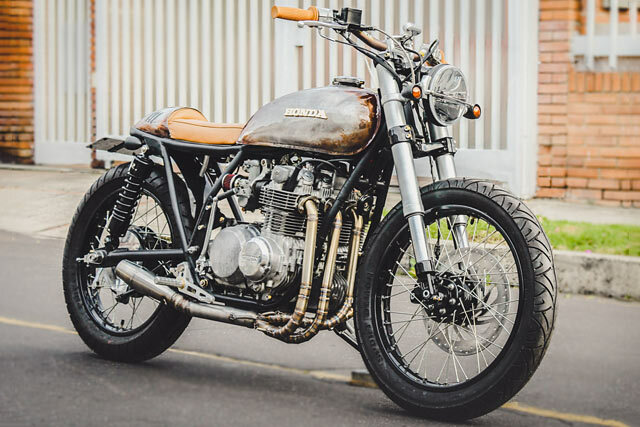 Nowhere is this more apparent than with today’s bike, a 1980 Honda CB750 produced by Ace Custom Shop in Colombia. Built by a small, three-man operation nestled in the hills of Bucaramanga, it’s easily the best thing to come out of the Colombia that doesn’t need a credit card and a mirror to enjoy. You can tell a lot about a country by what motorcycle marque the police ride. The German Polizei obviously hit the autobahn on BMW’s. The Italian Polizia stylishly chase down the mafia on their Guzzi’s. 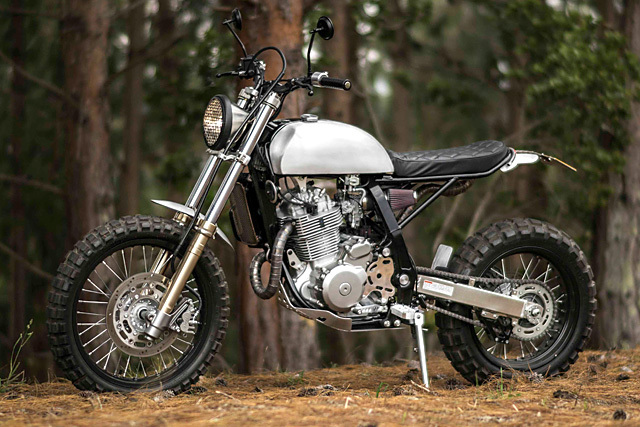 But when it comes to Colombia, the police ride the reliable dual sport Suzuki DR650 – it probably says a lot about Colombia’s mix of city and country roads. 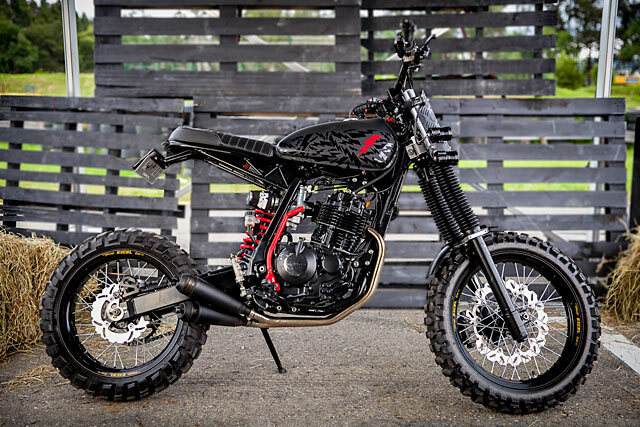 So when the guys at Garaje57 got their greasy hands on a DR650 police bike they wanted to do something completely different with it. The Pasquale brothers have been building bikes for a few years and their Dad has been working more and more with them. So because it’s a family affair, they have decided to change their name from Garaje57 to Pasquale Motors. 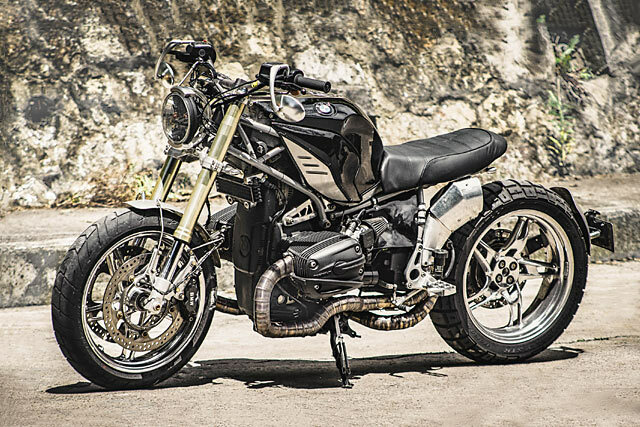 So this DR650 is the first build under Pasquale Motors and they’ve given this thumper the name ‘Mamba’ because the pipe resembles the snake of the same name. Colombia’s Garaje 57 is growing an impressive reputation for hand crafted machines that have been ordered by clients from around the world. 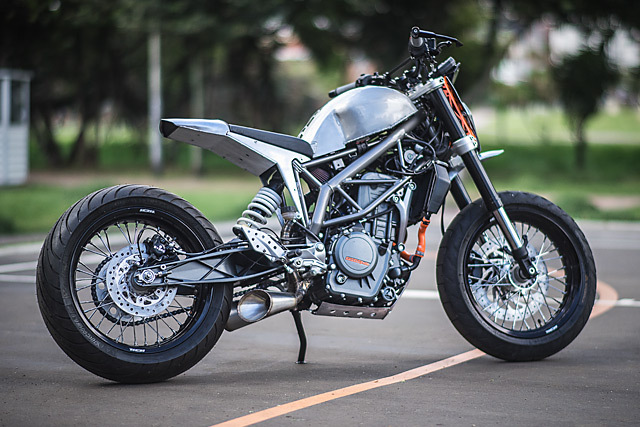 But with the new KTM 390 Duke landing on their shores, there were two very good reasons why Bogota brothers Esteban and Gustavo Pasquale decided to apply their old school fabrication skills to a brand new machine. “The first one is that the Duke here in our Country is beginning to be popular, and at first sight it was a real challenge to take that bike and make it our own.” The second reason; popular Colombian footwear brand BOSI had entered the Motorcycle apparel game and commissioned the pair to build a machine to catch eyes at trade shows and in window displays. Two big challenges could be taken one at a time, but the brave men from Bogota combined them both to build a truly one-off Duke known as the “Silver Arrow”.